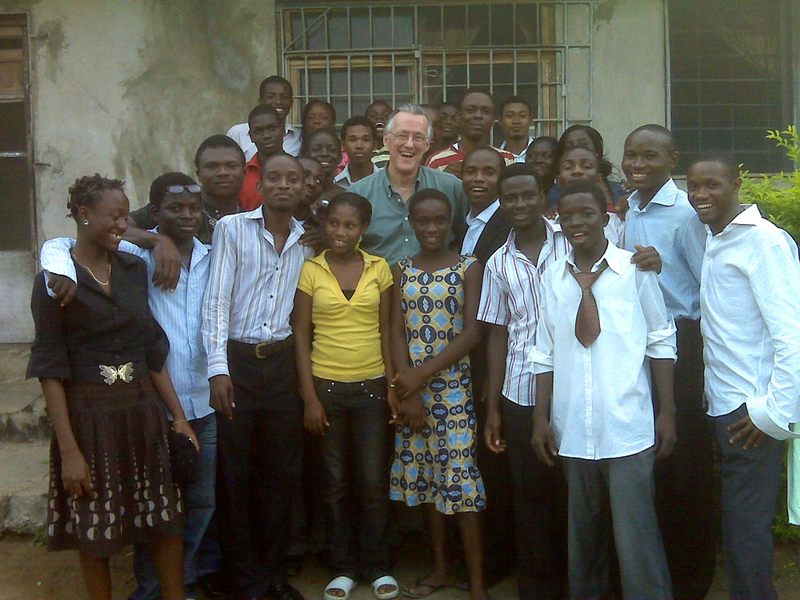 The success of an exploratory trip to Nigeria by John Graham in 2008 led to the idea, then the plans and the launch of Giraffe Heroes International two years later. 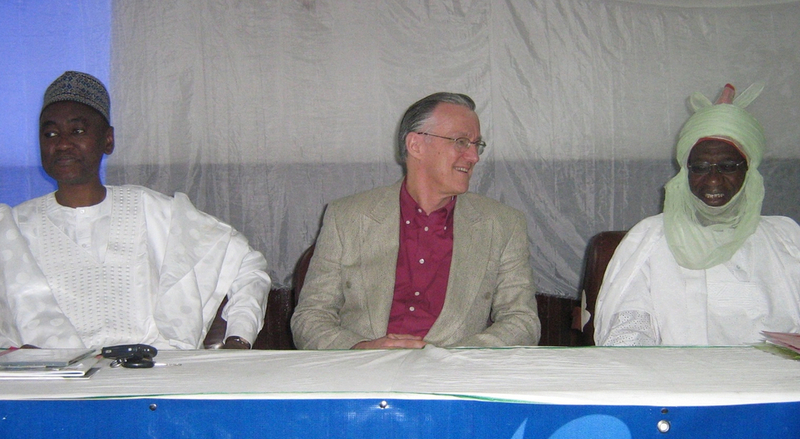 In that 2008 trip, Graham spent eleven days speaking, leading workshops and meeting a wide variety of Nigerians committed to the social and political transformation of their country. Nigeria, the most populous country in Africa, suffered then and now from corruption and poor governance that for decades have hampered efforts to meet key challenges of social, political and economic development. Blessed with natural resources (principally oil) and a large, educated middle class, the country has made only limited progress since its independence in 1960. Graham was initially invited to Nigeria by the Nigerian Center for Societal Transformation to explore how the Giraffe Heroes Project, with its message of courage, hope and practical change, could help. From Lagos in the south to Abuja in the middle to Kano in the Muslim north, Graham gave nine presentations in eleven days including public speeches, leadership training workshops, training sessions for educators and even preaching in churches. Everywhere he went, he introduced the Giraffe concept of telling the stories of real heroes as a way of moving others to courageous and compassionate action on issues that they cared about. He talked about meaning as a key motivator for taking on tough tasks and about service as a strong and stable source of meaning. He offered practical tips to Nigerian activists to improve strategic planning and execution. He showed them how to create and communicate a vision powerful enough to attract support from others. In Kano, in the Muslim north, a city where Osama bin Laden was a hero to many, Graham told the story of Joel Bisina, a Nigerian hero working for peaceful solutions to deadly violence in the troubled Delta region of the country. In one of the poorest slums in Lagos, he worked with young leaders to improve their efforts to provide leadership for community development. In Abuja, t nation’s capital, he met with senior non-governmental organization (NGO) leaders to explore how Giraffe ideas and materials might help them in their efforts. With a huge percentage of Nigeria’s population under 25 years old, Graham spent much of his visit talking to educators and youth leaders about how to engage kids in service projects, giving them skills and hope for the future. He urged Nigerians to tell their kids the stories of the real heroes in Nigeria’s rich history, and why it was important to give kids the freedom to explore their powers as agents of change, even when that means rocking a few boats. Giraffe Heroes Project curricula and books proved very popular, especially Stick Your Neck Out, Graham's guide for social and political activists. In an arrangment with the book's US publisher, Stick Your Neck Out can now be published by Rehoboth Books, a publisher based in Lagos. This would allow it to be sold at a price low enough to get it to many more activists and change agents who need it all over the country.